We all games may heard the name of Origin. 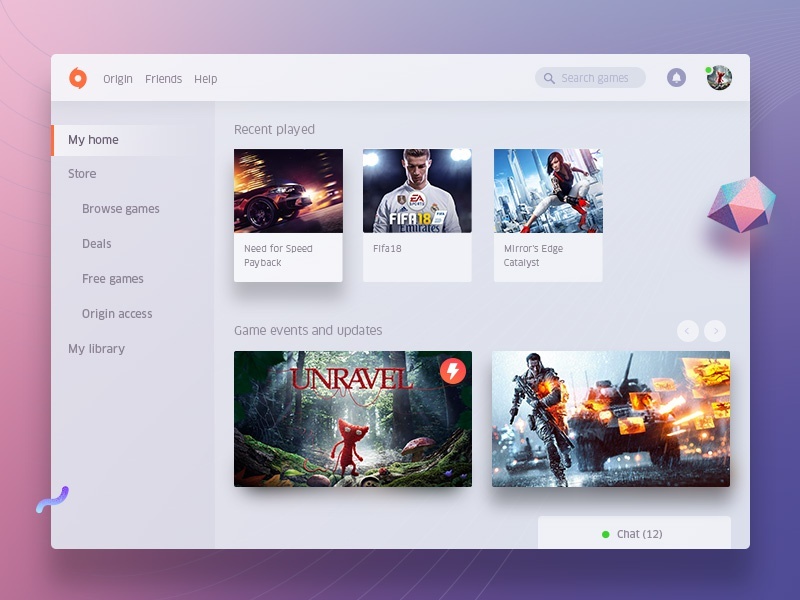 Its an online gaming digital management platform by (EA)Electronic Arts that allows users to buy games on the internet for PC platforms and download them with the Origin client. Recently I am experiencing this platform and designed it with simple change that actually most of the user used with.